London Mining Network has published a report calling on the government to include a review of regulatory regimes as part of the current discussion on the Financial Services Bill. The Bill is replacing the existing FSA with a new body, the Financial Conduct Authority, which will inherit the FSA’s role as UK Listing Authority. Many mining companies listed in London have very poor records of complicity in human rights abuse, environmental pollution or destruction of people’s cultures and livelihoods around the world. Once listed in London, some mining companies have continued to flout the law in the countries where they operate, or engage in damaging tax avoidance, or break accepted international mining industry standards, with no move by the UK Listing Authority to discipline them. 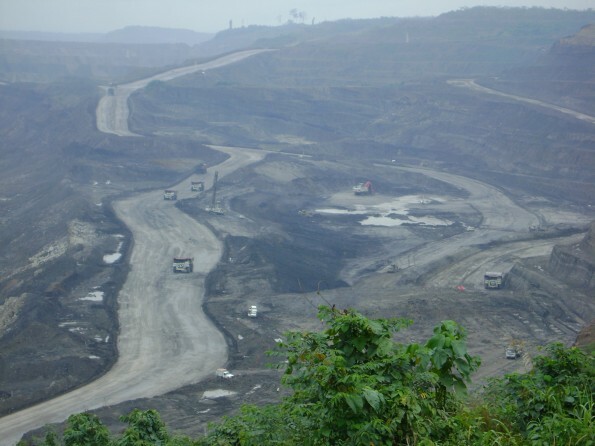 The report follows on from dramatic developments at the end of February in which a proposed opencast coal mine in Bangladesh being developed by GCM, one of the eight case studies used in the report, was condemned as “threatening human rights” by an independent panel of UN experts. “This report by London Mining Network presents a challenge to the Government to ensure that the proposed regulatory body has the powers to require mining companies to meet acceptable human rights and environmental standards as a condition for listing on the London Stock Exchange”. “This report provides a reminder to the Government of the need for measures to ensure that the London Stock Exchange does not continue to act as a repository for dodgy companies that harm the environment and abuse human rights. The ease with which such companies can list in the UK is an indictment of the existing regulatory framework”. The report can be downloaded from http://londonminingnetwork.org/docs/lmn-the-case-for-stricter-oversight.pdf. The eight London-listed mining companies looked at tin the report are African Barrick, Brinkley Mining, African Minerals, London Mining, Vedanta Resources, Glencore, GCM Resources and Bumi. The Government has introduced its Financial Services Bill, which is being considered in Committee between 21 February and 20 March. See also Stop the City of London laundering blood money from mining at http://www.newint.org/blog/2012/03/12/city-of-london-laundering-mining-money/. In 2005 Minera Majaz, a wholly owned subsidiary of the British company Monterrico Metals, was working hard in the northern highlands of Piura in Peru to get its social licence and start the operation of its first copper project, known as the Majaz mine. What happened there is important because it illustrates the impact of the mining conflict on HR, the role played by criminalisation as a strategy that clears the way for mining projects and finally the impunity with which these activities are carried out. The project is currently owned by the Chinese Zijin consortium. On the first of August 2005, thousands of people started a march protesting against the Majaz mine. Their intention was to arrive at the mining camp to let management know that the mine was not welcome. Before they reached the camp, they were ambushed by police, soldiers and security forces with tear gas and live ammunition, whilst being tracked by aircraft. Twenty nine people were caught and held within the mining camp where, they were tortured. One man was killed, and several were seriously injured . As part of the follow-up strategy, shortly after the ambush Félix Toledo, the public prosecutor began a legal persecution, and accused 107 people of a range of crimes including terrorism. Furthermore, leaders from several nearby communities also reported their houses being searched by the police without a warrant, being detained and threatened they would be killed unless they named the ring-leaders of the protest. Given that local authorities simply ignored what was happening, the organisation FEDEPAZ (Federación Ecuménica para el Desarrollo y la Paz, a church organisation) requested that the Public Ombudsman investigate the police and corporate persecution against campesino leaders. The National Coordination for HR went a step further and introduced a lawsuit against the public prosecutor for failing in his duty to investigate corporate abuse. Nothing happened until five years later, when in 2010 the judicial system rejected charges against the prosecutor’s behaviour, alleging lack of evidence. All cases against the protesters were dropped. I would also like to mention that among the 29 people detained there were two women. During their illegal detention the women were not only tortured but also sexually abused. What happened to these women is important because they were treated as “spoils from the raids”. The sexual abuse of women in the context of the mining conflict sends a powerful message to women: a message that seeks to put “women in their place”; a message that says “Women’s place is not with men, and sexual abuse is the price to pay when women choose to deviate from accepted customs”. Thanks to Leigh Day, the 29 victims of this terrifying attack were financially compensated, and the brutality with which they were treated by a British company made the front page of The Guardian. But we mustn’t forget that victims of corporate and state abuse in the context of this mining project run into hundreds of people and that they haven’t received any kind of compensation at all. Neither the government nor the corporation admit to any wrong doing. This victimisation of ordinary people is often forgotten. But we must not forget that people detained and tortured by the Monterrico were left with permanent scars such as “suicide thoughts”. Also, whilst most of the men tortured during the protest returned to loving families, women didn’t have that safe haven as they experienced rejection by their own families. Glevys Rondon, Co-ordinator, Latin American Mining Monitoring Programme.